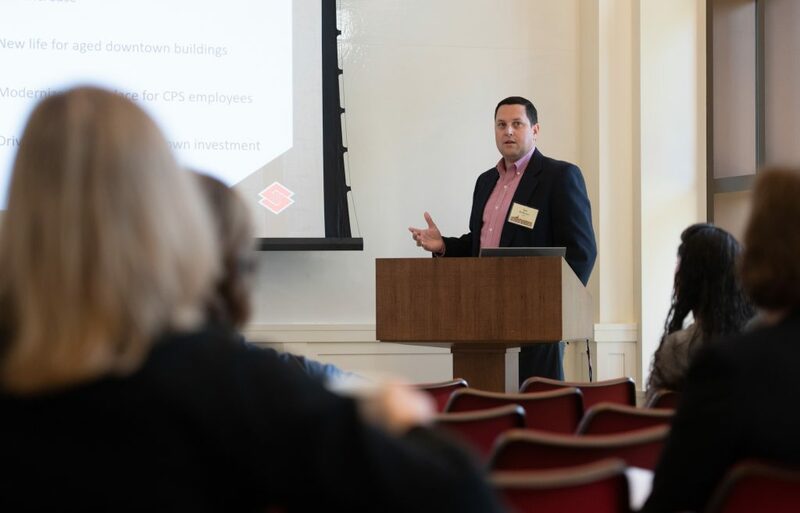 On Ocotober 29, Jon McKelvain, Vice President of Pre-Construction at Sundt presented at Texan by Nature’s first annual Conservation Wrangler Summit & Celebration at the George W. Bush Presidential Center in Dallas, Texas. This important event brought together over 200 Texas leaders to engage in a thought-provoking summit exploring the beneficial connection between conservation and business. The event culminated in a gourmet meal and celebration of the 2018 Texan by Nature Conservation Wrangler projects. Jon told the audience more about Sundt’s history and who they are. Sundt was established in 1890, with 128 years in business! and offices in four states (Texas, Arizona, Utah, and California). You may recognize some of Sundt’s work across the US, which includes the Reunion Tower in Dallas, TX, the 7th Street Bridge in Fort Worth, TX, and Launch Pad 39-A in Cape Canaveral, FL. Sundt’s purpose is to build environments where their clients, employees-owners, and communities prosper. Sundt’s sustainability practices are also impressive with a LEED Gold Headquarters, 102 LEED Accredited Professionals, and an in-house Sustainability Committee. Jon elaborated on the importance of investing in people during his session. 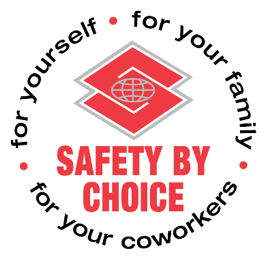 The company is 100% owned by the employees, and is ranked second in a survey for employer provided admin benefits, with the benefit program being 19% higher than average and ranked first in a survey for employer-provided craft benefits, with the benefit program being 47% higher than average. 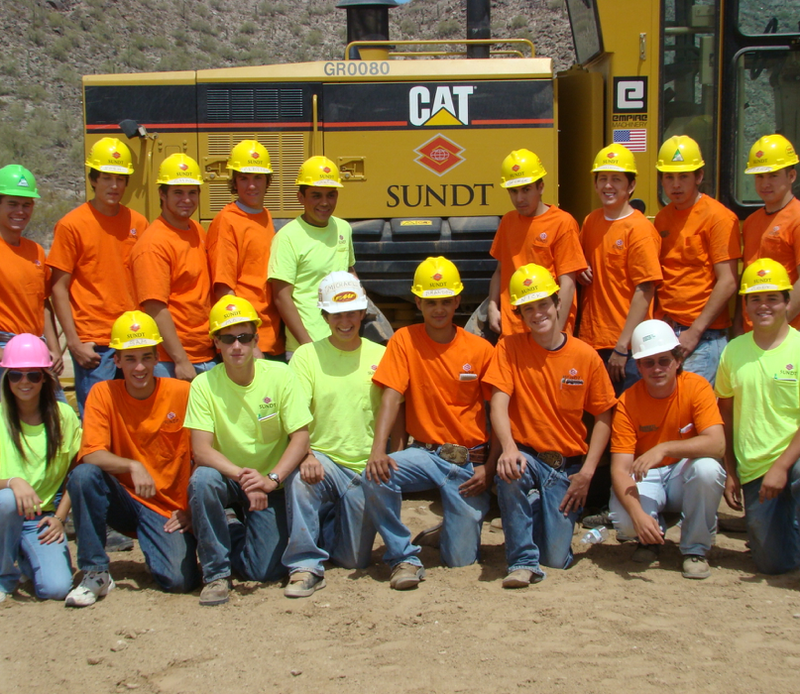 Sundt achieves this by forging relationships with established community groups such as Central Arizona College. They offered workforce development programs through welding, heavy equipment operations, pipefitting, industry carpentry and concrete. In 2017, 106 students enrolled in the course, and 180 are expected to enroll this upcoming year. Sundt believes this step must go beyond the CEO. Riverside, CA: At the Cal Baptist Events Center, Sundt helped increase university visibility due to location, which helps CBU move up to NCAA Division 1 in all sports. On campus graduation is now available and Sundt’s work helped increase property values in the surrounding area. Farmington, NM: At APS Four Corners, the Sundt project became an important revenue source for Navajo Nation (82% of employees) and helped reduce emissions. The project will create a $6.3 billion economic value to the region over the next 30 years, 70% benefitting the Navajo Nation. San Antonio, TX: At the new CPS Headquarters, Sundt created a new life for aging downtown buildings, with no rate increase. The project modernized the workplace for employees and increased downtown investment. Chandler, AZ: At the Ocotillo Water Reclamation Facility, the technological innovation allows for smaller footprint and reduced sludge production. It increased service capacity to allow for community growth and the water was made available for aquifer recharge, industrial use, and irrigation. San Antonio, TX: Sundt created a public gathering space for an underserved community at San Pedro Creek, becoming the focal point of the 300 year anniversary party for San Antonio. This creek improved flood control and wildlife habitat, with an anticipated $1 billion impact. Phoenix, AZ: Sundt helped provide space for collaborative work in neurosciences, healthcare and cancer research through the University of Arizona, Biomedical Sciences Partnership Building. This project created employment opportunities in the research field, and became a catalyst for further development downtown and improved housing options. This building also became LEED Silver Certified. Community partnerships run on volunteer energy. The Sundt Foundation was founded to serve disadvantaged children and adults, giving more than $8.6 million in grants since 1999. Employee contributions are matched 1:1 and help decide which organizations to support. Sundt was the top 4 of 738 participating companies in a walk raising funds for breast cancer research. A total of $11,350 was raised with over 50 walkers from Sundt. 33 pints of blood was donated, beating the goal of 27. These donations were enough to save 99 lives. This mobile market delivers fresh fruit and vegetables for homeless veterans, providing healthy food options. Sundt helped provide over 3 months of fresh food supply for the farmers market. Ten employee-owners cooked burgers for 67 kids staying at the shelter, bring hope to battered and neglected children. What do companies bring to the table?